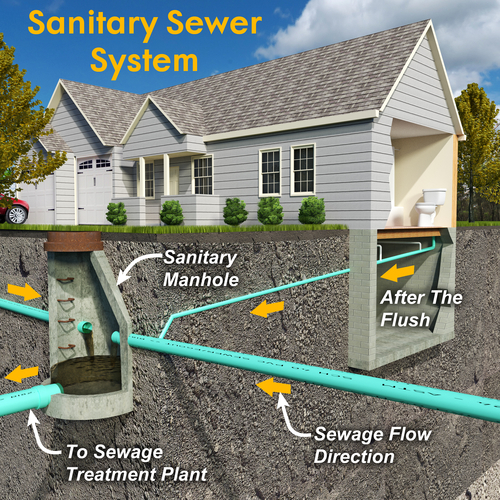 When you think of regular home maintenance, your septic tank probably doesn’t come to mind. But it’s essential that your septic system be inspected regularly to make sure your property is in the best shape possible. Prichard Septic Service is a local business based in Grayson, KY that aims to keep clients’ homes functioning properly at all times. Their professional excavating contractors offer septic tank maintenance and inspections to ensure that clients are never caught off-guard by any issues. Septic tanks aren’t built to last forever, but they should last a long time—maybe even longer than you plan on staying at your house. With a lifespan of about 25 to 30 years, septic tanks require routine care to stay in top shape. But even with regular septic tank maintenance, you should still have it inspected by a professional. Otherwise you could wake up to a flood of wastewater in your front yard—something neither you nor your neighbors want. It’s recommended that all homeowners have their septic tanks inspected every 5 years. If more than 5 people live at your residence, you should plan on scheduling an inspection every 2 or 3 years instead, as your septic tank will fill up faster than a household of only a couple of people. Inspectors will measure the sludge level, examine the area for leaks, and check that the tank is sealed tightly, among other items on their checklist. If they find anything wrong, they’ll be able to alert you to the problem and work with you arrange repairs. Prichard Septic Service offers septic repairing as well as septic tank pumping to keep septic system running smoothly. They even boast a 24-hour emergency service so you can rest easy knowing your tank will be repaired as quickly and efficiently as possible. Keep you septic tank in working condition each year by scheduling regular inspections. Call Prichard Septic Service at (606) 475-1491 to discuss your septic tank maintenance options. For more information, visit their website.